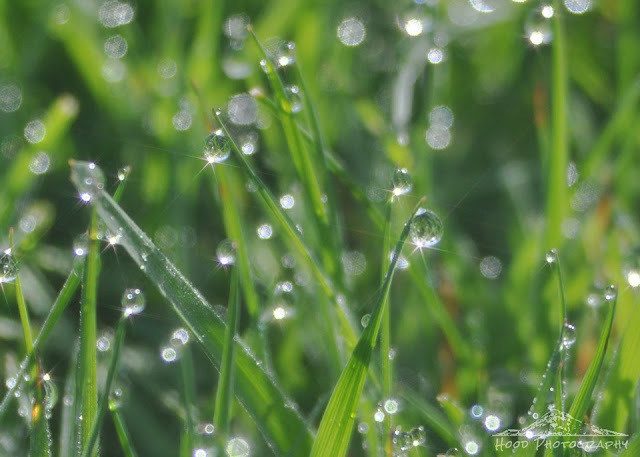 Each morning, my lawn is covered in beautiful dew drops, and during the recent sunnier weather we have enjoyed, the droplets sparkle in the morning sun. Look at that detail - splendid and really captures the essence of spring! Wow...that photo is so, so gorgeous! I love it very much!!! All the wonderful green, the light and all these little stars!!! Beautiful photograph! I love the "star" lines that appear under a few of the droplets. Are they spider webs, or perhaps just the way the light bounces off the dew?